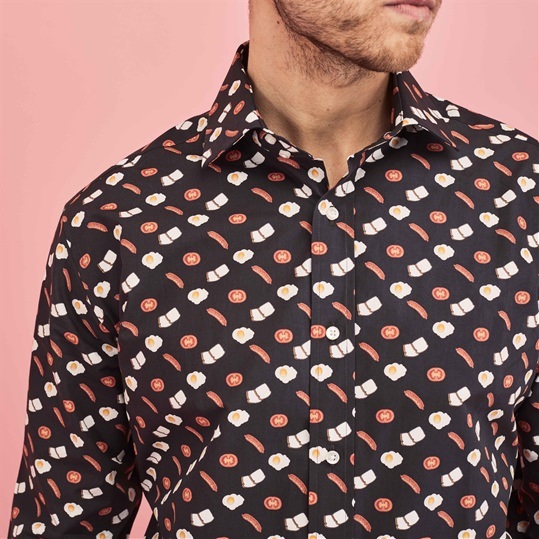 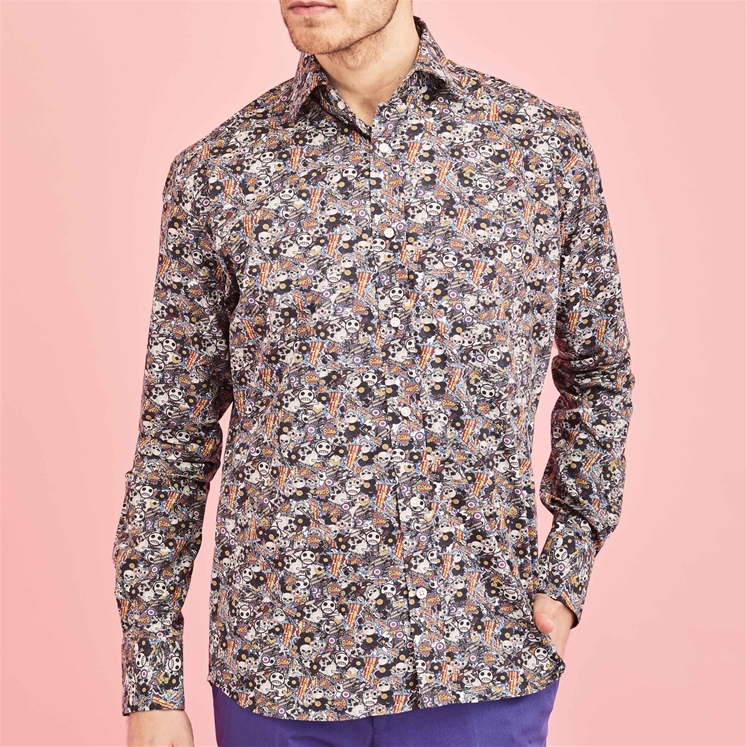 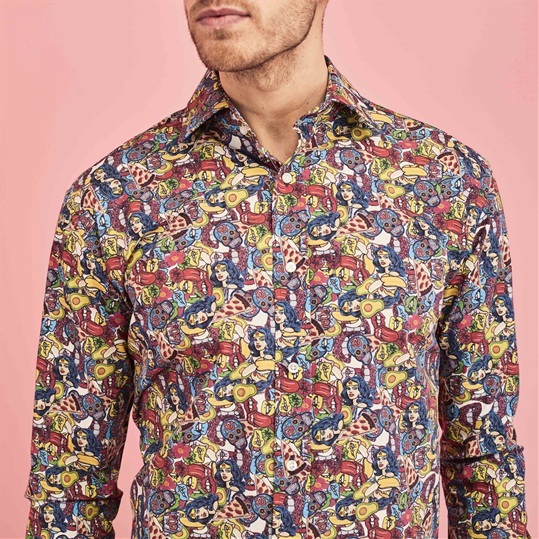 100% Cotton mens printed shirt by Gresham Blake. 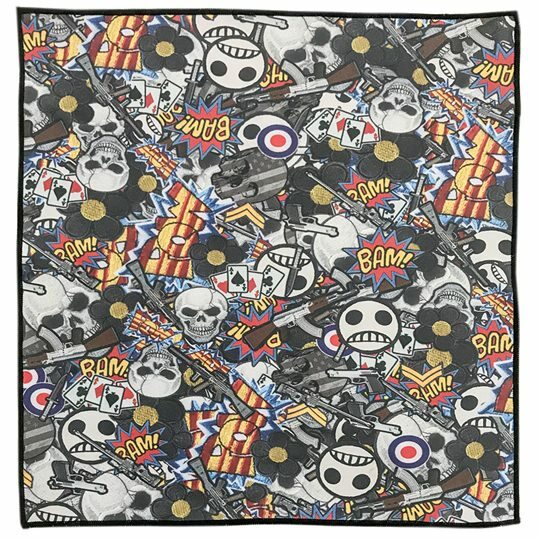 Featuring an 80's inspired retro patch design of all things stereotypically boyish. 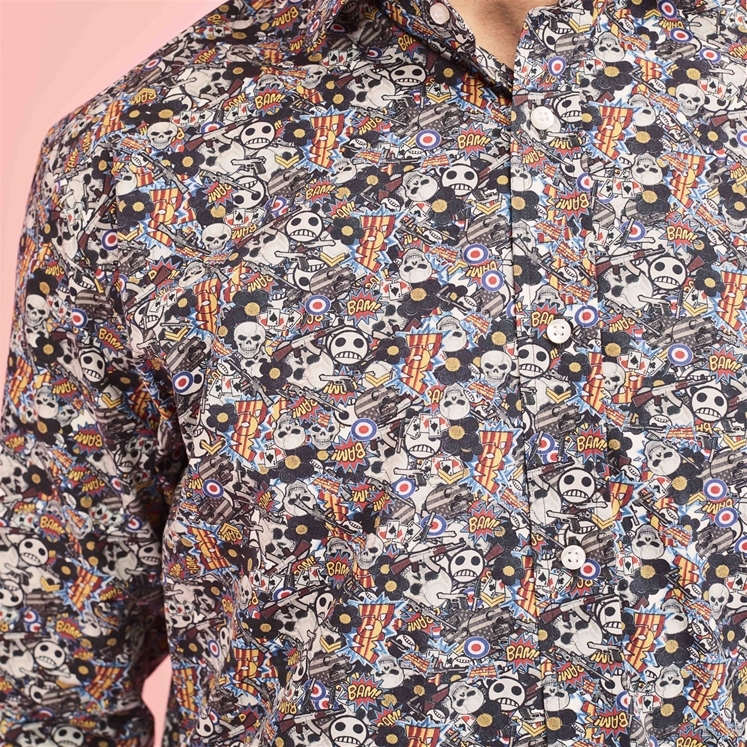 Expect to see Guns, Skulls, Playing Cards and more on this intricate shirt.